Thanks to social media, what was once known as a ‘pound sign’ on your phone is now ubiquitously known as a hashtag. In your scrolling through Twitter, Facebook, or Instagram, you’ve likely come across #wine, #winemarketing, or #napavalley. You know they do something because every winery and their #winerydog is using them, but how do you strategically use hashtags for marketing your wine or beer? A recent study concluded that posts with at least one hashtag have 12.6% more engagement than those without. Hashtags were conceived in 2007 by a Google developer, who suggested using the pound symbol to differentiate groups of topics within tweets. Based on his suggestion, hashtags eventually made their way onto Twitter as an official feature and are now commonly used throughout social media. In 2019, hashtags continue to be a method of categorizing social media content. They are used within a message or caption to identify a keyword or topic of interest. They increase the discoverability of your content by grouping it with similar posts utilizing the same tag. A recent study showed that tweets with hashtags had two times more engagement than those without and received 55% more retweets. For Instagram, another study found that posts with at least one hashtag have 12.6% more engagement than those without. There’s no ‘one size fits all’ approach to hashtag selection. Picking the ‘right’ hashtags requires a little creative research and a lot of experimentation. Instagram shows you how many times a specific hashtag has been used. While it may be intuitive to use a hashtag like #wine or #beer – there’s been an astounding 45.5 million posts tagged with #wine, and even more (58.7 million posts) tagged with #beer. In addition to these generic hashtags, the rule of thumb is to pick one that’s being used by other social media users (its use signifies that others are searching it), but not overused to the point where your image is buried among everyone else’s content. Sharing wedding photos taken at your winery? Try #wineryweddings (10.3k posts) or something more specific like #texasweddingvenue (10.8k) -- if your vineyard is in Texas, of course. Discover how you can get the most of your next marketing campaign even if you can’t seem to have time! Use a free online tool like All Hashtag or Display Purpose as a starting point for inspiration. Type in a keyword related to your industry -- say, “wine”, “NapaValley,” or “craftbeer” -- and you’ll be presented with a list of related hashtags to consider. If you are a location-based business, like a winery or brewery offering venue rentals, events, tastings, or tours, include hashtags related to your geographic region so people looking for localized content may stumble upon yours. Hashtag not only where you are physically located, but where your customers are, too. For example, if you are a California winery doing a partnership with Tourism Canada, consider using hashtags related to your target audience as well. Save your most commonly used hashtags to a note on your phone so you can quickly reference your hashtags and copy and paste when posting. We often brand our content with #outshinery -- and many of our clients do the same when sharing the Bottle Shots and Lifestyle Images we’ve created for them. While nobody can own a hashtag, you can develop the habit of using the same hashtag over and over again when sharing your content and encouraging your customers to do the same. For example, we often brand our content with #outshinery — and many of our clients do the same when sharing the Bottle Shots and Lifestyle Images we’ve created for them. Using a branded hashtag means that we, and other social media users, can take a quick glance through all the visual content that’s ever been shared about #outshinery, allowing us to find and re-share it with greater ease. Client love! If you have a fairly common brand name, you may have to get creative and find a unique hashtag to use. An excellent example of this is the Vancouver-based craft brewery 33 Acres, who tag all of their content with the hashtag #b33r. It’s a smart and simple play on the numbers in their name and has become so popular that they now even sell sweatshirts featuring the hashtag. By including #b33r in their Instagram profile description, they’re activating their viewers to follow suit and share their own photos with the hashtag. Over 6,000 results now show up when searching #b33r on Instagram, the majority of which are user submitted, equating to a hefty dose of free marketing for the brewery. When the brand wants to reward loyal supporters, find content to repurpose or find a testimonial, they’ll no doubt be scouting out the #b33r hashtag to find their advocates. 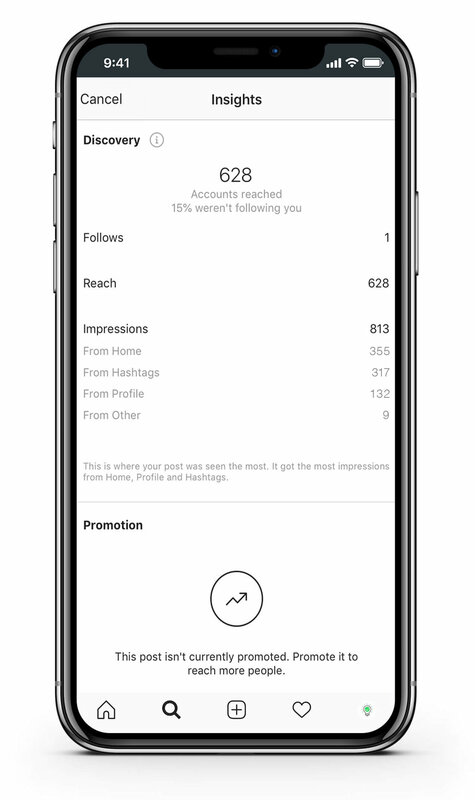 Scout for hashtags and followers who have tagged you in their own content. These are your superfans and your most loyal supporters! Follow them, like their posts, comment on their content. Consider re-posting their photos on your own social media channels to encourage authentic engagement with your brand. Followers love shout outs from their favorite brands because it makes the customer the hero in your story. As you increase mutual engagement, it will also help build rapport and loyalty. Hashtags are free to use and an easy way to extend the reach of your content. They help to increase brand awareness and discoverability, so you have no excuse not to use them! Whether you’re trying to get clicks to your ecommerce site or foot traffic through your tasting room or brewery doors, hashtags cast a wide net and can drive traffic from unexpected visitors you’d likely not reach through other more targeted channels. Need images of your wine or beer to hashtag? Click below to get started.